Mimansa Singh Tanwar, Clinical Psychologist and Coordinator Clinical Psychology at the Department of Mental health and Behavioural Sciences in Fortis Healthcare explains postpartum depression and how to cope with it. When I was pregnant, I would often be advised “enjoy these nine months and pamper yourself to the fullest! Your life is going to change after that…..You will be a mother!” The immense joy and celebration in the family about the new member coming can often mask the difficulties that a woman harbours in the process. Experiencing a plethora of emotions during pregnancy, a woman undergoes marked psychological changes which we may refuse to see and acknowledge even amongst our closest people. With mixed emotions of anxiety and excitement along with the physical discomfort being common to all, the meaning that a pregnancy holds for a woman defines her attitude towards it. For some, it is the creative act of giving birth or the desire to feel an absolute sense of femininity in bearing a child. For others the experience might still be difficult if they fear child birth or feel inadequate in the new role as a mother. The very perspective lays the foundation for a healthy pregnancy and transition in the role of a mother post delivery. Lot of us experience moments of anxiety, irritability, tearfulness, low moods and exhaustion post delivery for a transient period of one to two weeks which are called “baby blues”. They are a result of stress in meeting the immediate demands for caring the baby. 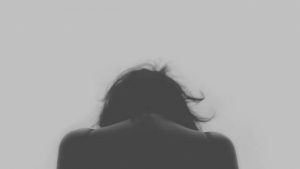 However, 1 in every 7 women are unable to snap out of this phase and experience a severe form of mood disorder called “postpartum depression”(APA). Research has also shown that 50% of “postpartum” major depressive episodes actually begin prior to delivery which is referred to as peripartum episodes (DSM-5, 2013). Women with peripartum major depressive episodes can have severe anxiety, panic attacks and low moods states. Men can also feel affected in the process experiencing common feelings of sadness, helplessness, exhaustion with the added responsibilities thereby resulting in a sense of detachment. Postpartum or peripartum episodes would basically include symptoms of feeling and expressing sadness or irritability for most part of the day, showing lack of interest in engaging in pleasurable or daily routine activities, withdrawing from family or friends, decreased or increased eating habits, disturbed sleep, feeling worthlessness, restlessness and too fatigued nearly everyday. Women commonly tend to harbour feelings of guilt for not being able to take care of baby and having negative thoughts related to the self or the baby. These symptoms interfere in a woman’s functioning during pregnancy and can also affect her attachment with the baby post delivery. When I work with pregnant women suffering from depression and anxiety during and post pregnancy, one of the key points to address is to help them as well as the family understand that it is not in their control. The main cause for Post partum depression is biological along with interplay of psychological and environmental factors. Imbalance in certain neurotransmitters during pregnancy and weeks following delivery tend to result in such episodes. Secondly, a woman’s negative perception and attitude towards pregnancy can be one of the predisposing factors. Motherhood doesn’t come easy to everyone and it is normal to have moments of doubt and apprehensions in the process, however women who tend to resist the transition strongly, are at the greater risk of experiencing severe depressive and anxiety features. Thirdly, lack of support from family or spouse or high expressed emotions such as conflicting suggestions during pregnancy and post delivery also play a significant role in triggering such severe anxieties. It is important that you reach out to an expert, a psychologist and a psychiatrist for an adequate intervention. It’s not just a phase but an illness that requires a proper treatment. Cognitive Behaviour therapy helps in identifying the negative thought patterns related to self and pregnancy and helps you change them to more adaptive ones using scientific based techniques. Another aspect of therapeutic process also focuses on working at the relational problems and difficult times that both partners may experience as being parents. Family also needs to provide adequate physical and emotional support for a better and faster recovery. Here I would reiterate, “Pamper yourself, it’s your time!” is the key to a healthy pregnancy. Engage in pleasurable activities like reading, gardening, massages; stay connected with friends, share a close bond with your spouse and express your emotions. It’s a good time to change your wardrobe, you don’t need to wear loose baggy clothes, embrace your changing bodily appearance. Maintain a routine and keep yourself occupied. It helps you feel distracted from your physical discomfort and uneasy emotions. Exercise regularly as per your doctor’s advice. Join pregnancy clubs as they help you normalize and validate your anxieties. Post delivery; give yourself time to attune to the new role. Don’t judge yourself and hesitate in asking for support. Take adequate sleep and take time out for yourself as well. “To be a mother you require care as a mother”. The author is Mimansa Singh Tanwar, Clinical Psychologist and Coordinator Clinical Psychology at the Department of Mental health and Behavioural Sciences in Fortis Healthcare. Book your appointment with Mimansa Singh Tanwar here.